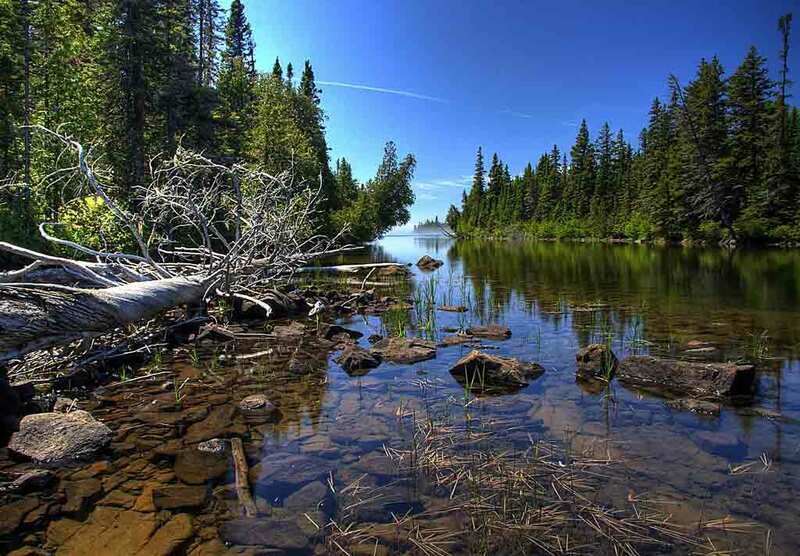 Located in northwestern Lake Superior, Isle Royale National Park is made up of the main island plus 400 smaller, outlying islands and underwater land. Isle Royale is the largest island in Lake Superior and was once a hub for commercial fishing operations. This legacy can still be seen in the park’s four lighthouses and historic shipwrecks. But the 570,000-acre park’s isolation also makes it a notable home for wildlife, like wolves and moose. Day hiking is popular along the 120 miles of trails in Isle Royal National Park. Some hikes are ranger-led. You can stay overnight in one of the park’s backcountry campsites, but a permit is required. Permits are also required for groups of 10 or more people. Canoeing and kayaking are another great way to explore Isle Royale and its surrounding islands. Since the park’s climate is notoriously cold and foggy, adventurers who choose to navigate its waterways should come prepared — bring a portable marine radio to keep up to date on the weather. Sudden squalls out on the lake can inundate a canoe, so open-vessel use is generally limited to inland lakes and streams on the island. If you’re looking for a unique experience in the park, you might consider a scuba diving trip to one of its many shipwrecks. Exploring wrecks isn’t for novice divers, though. Water temperatures in below the surface can get as low as 34 degrees Fahrenheit, and obstructions inside the wrecks pose hazards even to experienced divers. Outfitters in Minnesota and Michigan provided guided tours of various wrecks. Isle Royale is reachable by ferry and seaplane from Minnesota and Michigan. Because of the extreme weather that often hits the islands, and to provide a seasonal respite for its wildlife population, Isle Royal closes during the winter from November 1 to April 15. The entry fee to the park is $4 per person. Rock Harbor Lodge is the only lodging facility in the park. Each of its 60 rooms come with a private bath and a view of Lake Superior. There are also 20 duplex cottages on site that come with even more furnishings. Rooms sleep four. Cottages sleep six. There is a restaurant and dining room at the lodge. Other accommodations in the park are campgrounds. Reservations are highly recommended. Permits are required for overnight camping, boating and dock space. Fish like trout and whitefish have attracted people to Isle Royale for centuries, and continue to draw anglers to this day. As important as theses and other fish species are for the park’s ecosystem, for conservationists, the animals of note in the park are its populations of wolves and moose. The wolf and moose predator-prey study in Isle Royale National Park is the longest-running surveyof such a system in national park history. Originally planned as a 10-year study in 1958, it has been running continuously for more than 50 years. Park visitors can get involved in the study by joining a moose-watching expedition. There are also internships with the study available for college students. Isle Royale has been valued for its natural resources for centuries. Early white explorers, such as the French, came to the islands in search of copper. Later, when negotiating the Treaty of Paris that ended the Revolutionary War, Benjamin Franklin insisted that the island be included in the United States. In the early 19th century, intrepid American settlers tried earnestly to forge a living from the remote, rocky island in the vast lake. Mining and fishing settlements sprung up on the island, and people built lighthouses to help boats — a vital link with the mainland — navigate the area’s straits. These settlements subsisted throughout the 1800s, but never truly prospered. Several towns were ultimately abandoned, although old mine shaft ruins, four light houses and various shipwrecks stand as testament to the island’s history. 1783 – Benjamin Franklin fights to include Isle Royale in United States during Treaty of Paris negotiations. 1837 – American Fur Company establishes fishing camp on Belle Isle. 1843 – Mining begins on Isle Royale. Mining operations would continue throughout the 19th century. 1875 – Isle Royal County established. 1940 – Isle Royal National Park established. 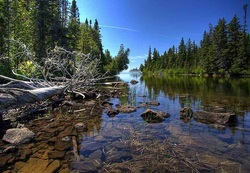 1980 – Isle Royal declared an international biosphere reserve. Click to see a detailed Isle Royale National Park map.